If we want to have an effect on our politics, we need good representation. Our reps need to hear us if they’re going to represent us. 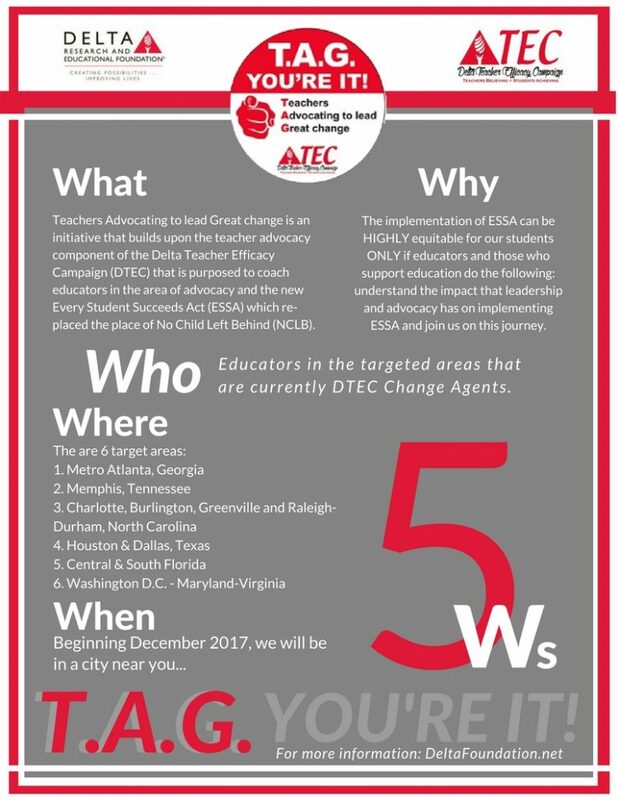 We are ecstatic to partner with The DTEC-TAG (Teacher Advocating to lead Great change) program! Along with the Education Trust and Leadership Conference, we will support the TAG Participants and their Education Advocacy projects in their respective districts. A BER Representative will assist in each district. The work and dedication of these elite organizations are exactly what the BER Team needs to help foster one of our three areas of focus, Advocacy and Empowerment! Visit their website here to stay abreast of the exciting changes we are planning to help foster the growth of Advocacy and Empowerment for educators, students, families and all stakeholders of Education. Join here to get involved! DTEC-TAG launched with an introduction of their 35 TAG Participants and 8 TAG Supporters. TAG Participants are from the following states/regions: DC-MD-VA (DMV), Florida, Georgia, Tennessee, Texas and North Carolina. DTEC-TAG will begin its advocacy training with hosted webinars and in-person institutions in 2018 and will persist until September 2019. Be sure to check out on our DTEC-TAG Facebook Page, Instagram @DTEC_Change_Agent and Twitter @DTECChangeAgent as they will be providing weekly updates on the program! © Black Educators Rock. All rights reserved.